The wonderful scenery begs to be explored. 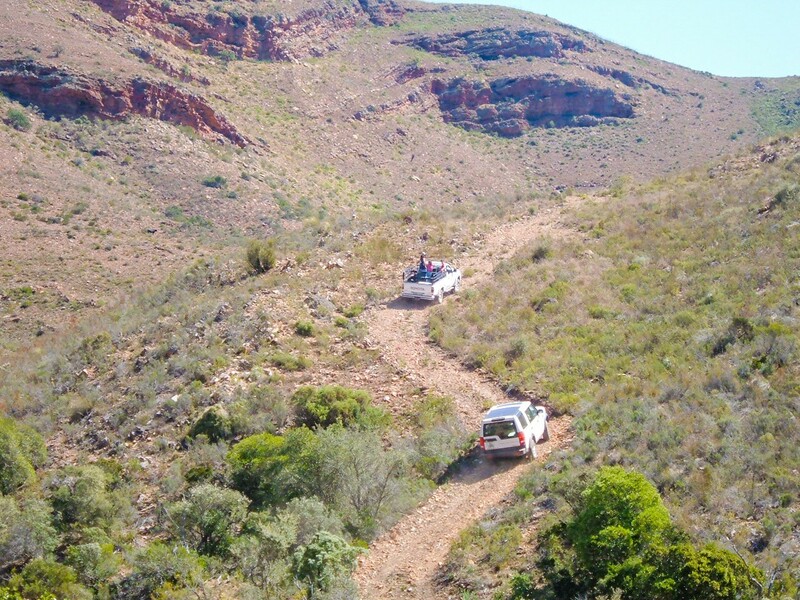 Guests are welcome to drive, walk or hike through the farm and the veld or to climb our mountains and enjoy the vistas and the interesting rock formations. The walk to the fresh mountain spring is a particular favourite. A nature-lover's paradise, the farm has a great variety of aloes, cycads, Elephant's Foot, proteas and the rare Willowmore Cedar not to mention the miniature "Gansie". Birdlife abounds on the farm. Several hundred species were identified by a University of Port Elizabeth study-group. 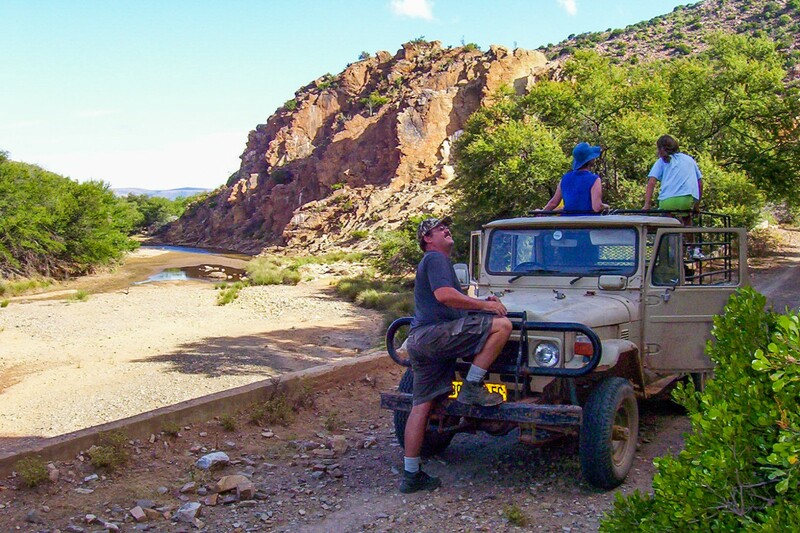 The Groot River presents opportunities for fresh water angling as well as for swimming and rowing (subject to rainfall!). Undemanding farm roads for non low range vehicles available. 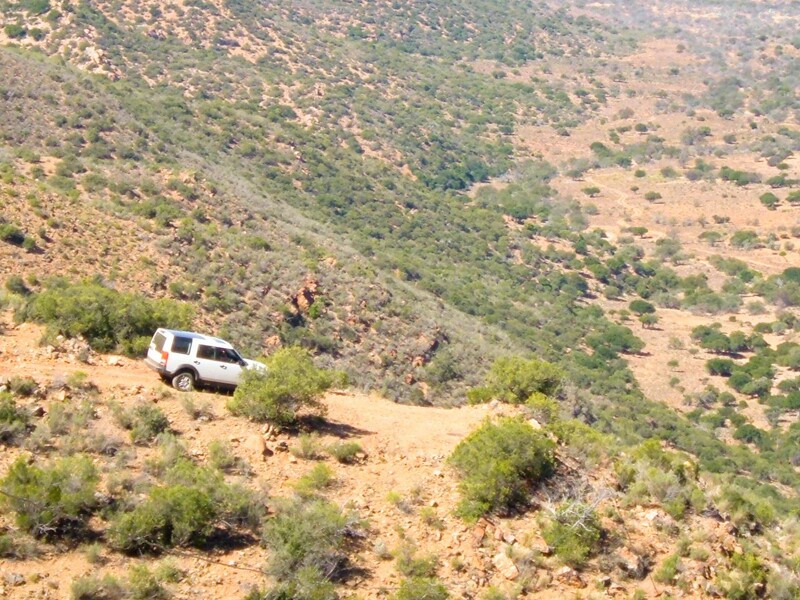 Accommodation, braaiwood, braai packs and camp sites are available. Read more on their Website. 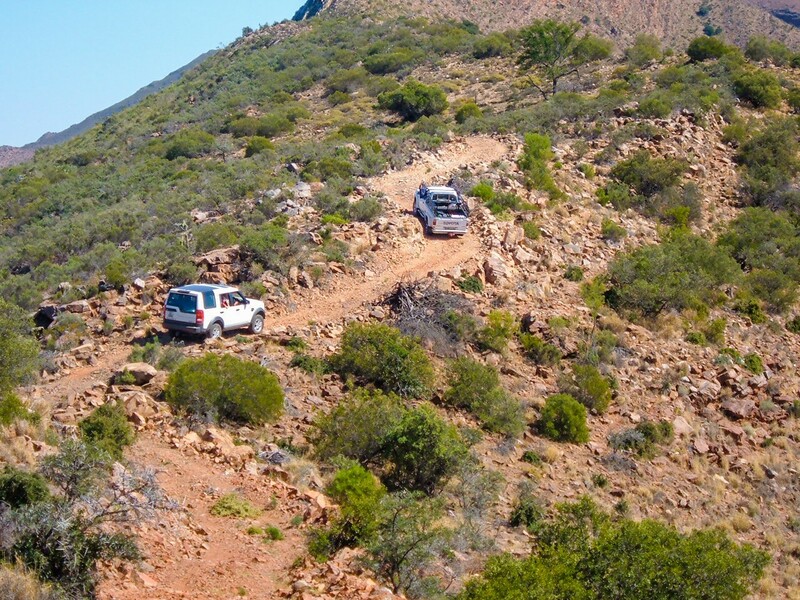 Conveniently located halfway between Steytlerville and Willowmore, only 7 km off the R329 (with easy access for sedan cars), and roughly equidistant from Port Elizabeth, Jeffreys Bay, Knysna, Oudtshoorn, Beaufort West and Graaff-Reinet, it is an ideal base from which to explore the attractions of the Baviaans region of the Karoo.